Microsoft is stepping up its retail presence with four more specialty stores across America. The company announced the news on Wednesday, saying the little ad-hoc shops will show up through May and June, mostly in the mid-west. Microsoft previously opened up five store-within-a-store experiences in April. Notably, the increasing frequency of Microsoft locations brings the company’s total to 75 through the U.S. and Canada. Also notable is the company’s utter absence outside of North America. Rumors have suggested Microsoft is thinking of moving overseas, but nothing has popped up so far. The initial idea was to offer these specialty locations only through the holidays. But it appears the stores have been successful enough to demand more. These locations aren’t necessarily full-blown Microsoft centers, but more intimately curated experiences. Microsoft still doesn’t have the retail presence of an Apple, but the Redmond company offers its products through many third-party retailers. According to CNET, in addition to rolling out the smaller Microsoft experiences, the company is making a push for its own areas within third-party retailers. Think of the sections dedicated to Apple only in a spot like Best Buy. 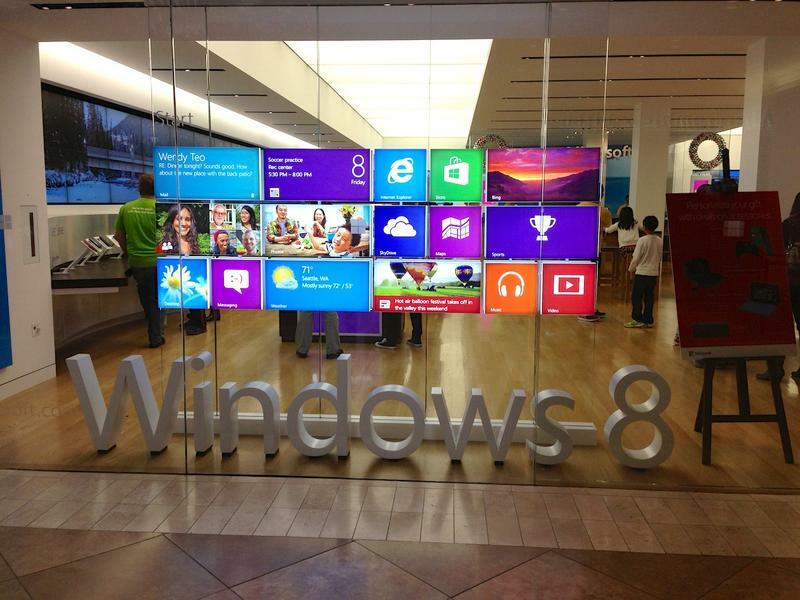 Whether the company’s increased presence will lead to increased Windows 8, or even Surface, sales remains to be seen.